Featuring one of the most iconic ocean view corridors on Maui, Royal Mauian 503 is a rare opportunity to own on Kihei’s golden mile. This 2 bedroom, 2 bathroom oceanfront luxury condo offers an open floor plan with seamless indoor/outdoor living. Meticulously maintained, the vacation-rentable condo is well appointed and has a split-system air conditioning system. 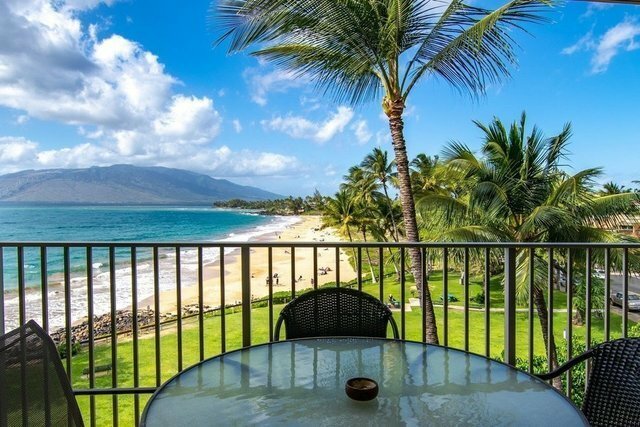 Enjoy breathtaking, panoramic ocean views framed by the world-famous Kamaole Beach I. Walking distance to countless restaurants, shops, and activities, while just a short-drive to Wailea and Makena’s finest amenities - championship golf courses, 5-star resorts, and critically-acclaimed dining. Offered fully furnished and priced competitively, contact your favorite Realtor today.